Lucian of Samosata, who lived from ca. 125AD to ca. 200AD, was an Assyrian writer and satirist who today is perhaps best remembered for his Vera Historia, or A True Story — a fantastical tale which not only has the distinction of being one of the first science-fiction stories ever written, but is also a contender for one of the first novels. 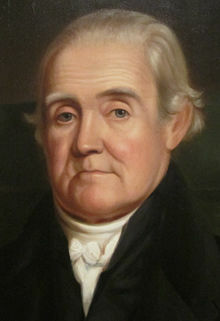 As we titter, we might recall that it was on this date in 1828 that Noah Webster copyrighted the first edition of his American Dictionary of the English Language. 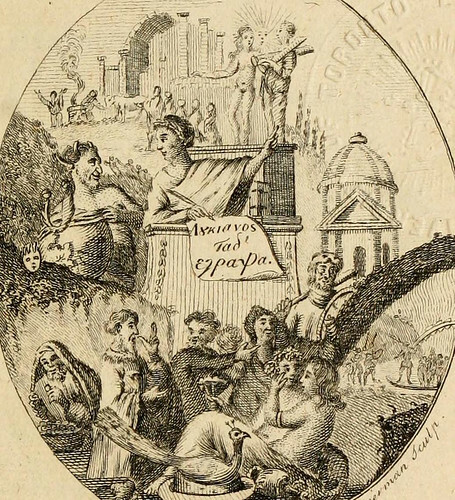 Published in two quarto volumes, it contained 70,000 entries, as against the high of 58,000 of any previous dictionary. Webster, who was 70 at the time, had published his first dictionary, A Compendious Dictionary of the English Language, in 1806, and had begun then the campaign of language reform (motivated by both nationalistic and philological concerns) that initiated the formal shift of American English spelling (center rather than centre, honor rather than honour, program rather than programme, etc.). His 1828 dictionary cemented those changes, and continued his efforts to include technical and scientific (not just literary) terms. With apologies, your correspondent will again be away for a few days, this time, to a connectivity- free precinct. (Who knew such a thing survives?) With luck, regular service should resume in about a week.